The evolution of birds on the Galápagos Islands, the cradle of Darwin's theory of evolution, is a two-speed process. 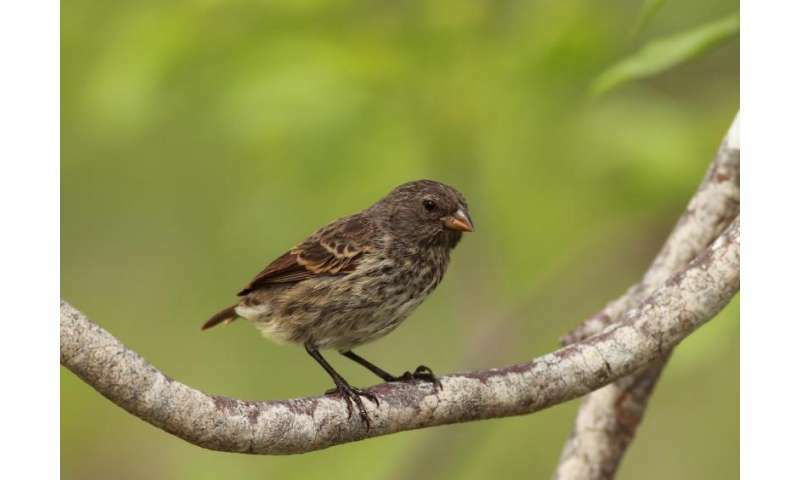 Most bird species are still diversifying, while the famous Darwin's finches have already reached an equilibrium, in which new species can only appear when an existing one becomes extinct. 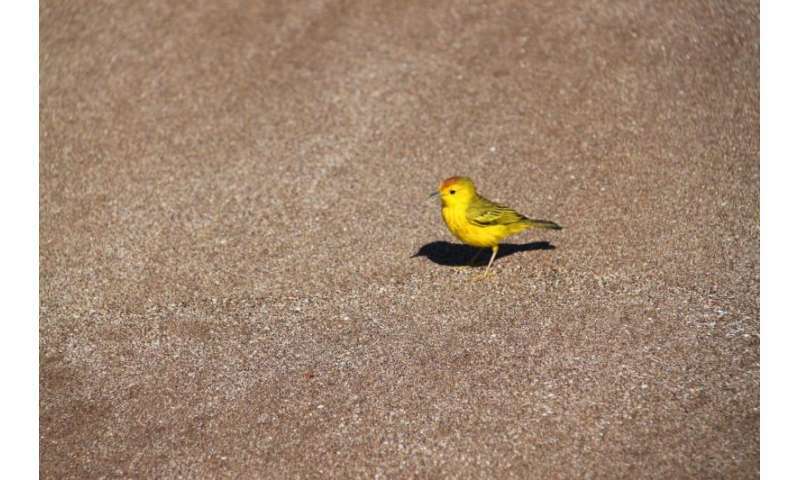 This finding expands the classical theory on island evolution put forward in the 1960s. The study is published online on June 23 in Ecology Letters. Islands are seen as natural laboratories for the study of evolution. They form isolated ecosystems with barriers to migration. Classical Island Theory predicts that a dynamic equilibrium will occur between immigration and extinction of species. Recent theory adds that as species diversity increases, ever more ecological niches become occupied, which has a negative effect on immigration (new immigrants from outside of the Galápagos cannot settle) and diversification (radiation into new species is blocked). 'However, this has never been tested in detail, for lack of data and the right analytical tools', explains Rampal Etienne, Associate Professor of Theoretical and Evolutionary Community Ecology at the University of Groningen, the Netherlands. Together with Luis Valente (University of Potsdam, Germany) and Albert Phillimore (University of Edinburgh, UK), he developed DAISIE, a mathematical model that uses phylogenetic data on living species to reconstruct evolutionary dynamics. DAISIE stands for Dynamic Assembly of Islands by Speciation, Immigration and Extinction, and was named after famous radiations of daisy-like plants on Hawaii. 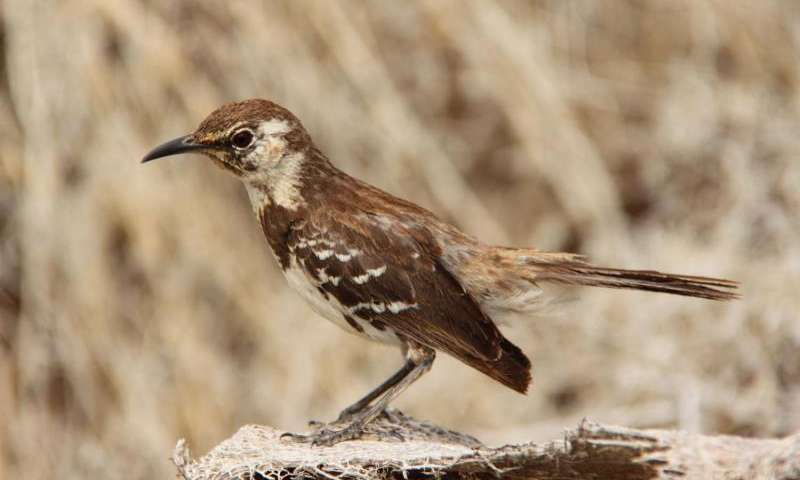 DAISIE was fed with the phylogenetic trees of existing bird species on the Galápagos Islands. These were constructed with genomic data that has become available in recent years. DAISIE then estimates diversity limits and rates of immigration, speciation and extinction per lineage. Other species like mockingbirds have not yet reached equilibrium, which contrasts sharply with the current view that oceanic islands are at equilibrium. 'Our data shows that they are evolving more slowly and are still diversifying.' In a million years or so, more mockingbird species may have appeared - granted that conditions on the islands remain the same. How have changing sea-levels influenced evolution on the Galapagos Islands? The finches will remain finches and the mocking jays remain mocking jays no matter how many millions of years pass. So does this use of the word "evolution" exclude the sense of the Darwinian evolutionary model whereby it might be possible for the finches to become doves ( for instance ) or change into some other more advanced kind of organism that doesn't exist anywhere in the world yet? Just asking.